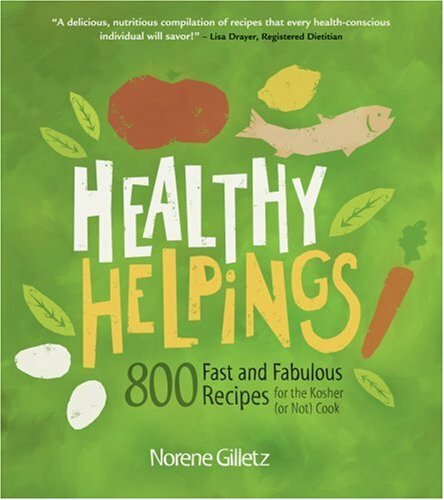 Excellent and practical recipes by Montreal author Norene Gilletz. She keeps kosher, so the recipes reflect that, but you don't need to be Jewish to enjoy this book and its healthy approach to cooking! There's lots of variety in this book! Featuring 800 scrumptious and simple recipes with nutritional tips, an extensive pantry section and educational sidebars, Healthy Helpings is just right for embracing a lean lifestyle. These delicious, ethnically diverse recipes are perfect either for entertaining or as dishes the whole family will love. Healthy Helpings is a great resource for weight watchers, cardiac patients, diabetics and anyone else with weight or health concerns.